Some of the most expensive coffee in the world comes from Indonesia. Kopi Luwak is coffee that has been eaten and partially digested by civets before being cleaned and roasted into a highly sought-after coffee that is prized for its smooth flavor. One of the problems with this coffee is that it can be difficult to tell if it is real or not. In other words, you might be paying extra for coffee that hasn’t come out of the back end of a civet. 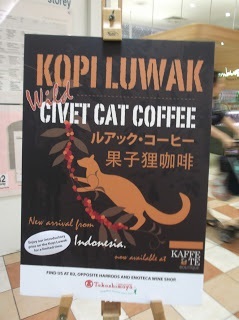 There is so much novelty associated with the “cat poo coffee” that there are many people out there who try to fake it rather than getting the real thing – and experts say that the fake coffee is giving real Kopi Luwak a bad name, since it lacks the richness of the real product.